We're absolutely thrilled that 2 stories from THE NEW SPACE OPERA, edited by Gardner Dozois and Jonathan Strahan, are up for the Hugo Award! The stories are "Who's Afraid of Wolf 359?" by Ken Macleod and "Glory" by Greg Egan. Our sincere congratulations to both authors! In addition, Jonathan Strahan is up for Best Editor, and Stephen Martiniere (the cover artist) is up for Best Artist! More Congratulations! Below the jump, find both stories, for your reading pleasure. We'll have interviews with the authors shortly. In addition, you can Browse Inside THE NEW SPACE OPERA here. Which license does apply to this works? Do you know where can I buy this book or THE NEW SPACE OPERA movie? Ey guys these short stories are so interesting!!! Thank you because my son an d I are so fans of THE NEW SPACE OPERA. And its browse is wonderful!!!!! I've neve heard about it!!!!!!! I read " The Hobbit" book three years ago but I could not get the two books that follow up this amazing work of literature. mmmm i do not like science fiction t much, but this looks like good. On this site I can find and buy books of all types or only a specific category? I respect different opinions but i love science fiction!!! is great!!! i will read this book! hey my uncle loves science fiction!! I will buy this book for him! I love that stories, are amazing!! What can I do to buy all the collection? Can I buy this short story book via amazon ? So interesting histories, I love them! Thanks for the sites, the interviews are very interesting. A top ten of the best fiction books ever written. 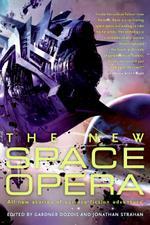 I read space opera a few days ago and it was a mediocre one. Great info, I love that stories, thanks! I don no tread this kind of story because I can find the interesting part, I prefer to go and Buy Generic Viagra for my boyfriend to have a great nigh. how do you say that kat ? Is better to see this awesome opera ! Thanks for the site, is very interesting!